Baristas prepare coffee at the grand opening of Sanctuary Cafe. A new cafe dedicated to promoting art and social justice opened yesterday in University Church. 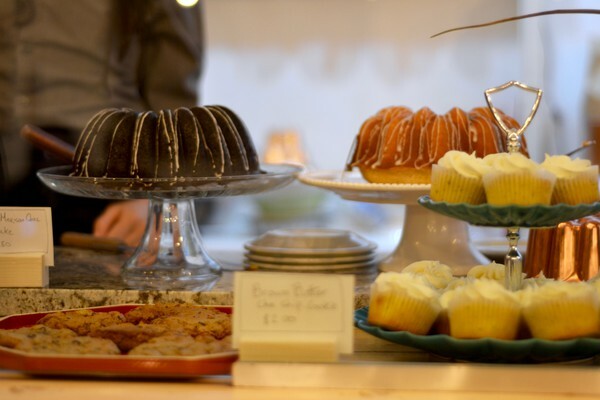 Sanctuary Cafe is a bakery with a social agenda, serving as a space for people of all identities to eat and enjoy art. “The ethos of [University Church] has always been being inclusive and welcoming. This room in the sixties was a safe space for gay couples when UChicago didn’t allow them to have public space. In the ’90s, it was a sanctuary for undocumented immigrants. [University Church] was the first integrated church in Chicago in the ’40s,” Executive Chef Edward Cabral said. Sanctuary Cafe is a collaborative effort led by two organizations that promote art and inclusivity: Stories Connect and Blue Gargoyle. Stories Connect is an organization that promotes art, essays, and podcasts sharing stories of those who do not fit the definition of “normative identity,” specifically in regards to race and gender identity. Blue Gargoyle, a South Side–based education and social services program that closed in April 2009 and reopened in July 2016, is making its new focus the promotion of arts and culture among youths. “With this space, we wanted to add to that tradition and create a space that is geared to cater to minorities, women, people of color, LGBTQA, people on the peripheries, people who left the prison system, people who were once prostitutes, [and] people who were once homeless,” Cabral said. An assortment of featured pastries at Sanctuary Cafe, now open in University Church. Cabral added that once the cafe begins hiring more staff members, it will partner with Chicago’s Community Kitchens (CCK). CCK is a free program through which Chicagoans with barriers to employment opportunities due to their pasts are given the opportunity to start anew. Cabral explained that the goal of working with CCK is to help people who have previously struggled with homelessness, addiction, and crime convictions to overcome societal stigmatization and not revert to their past circumstances. After 12 weeks of training and two weeks of internship experience, students of the program will be prepared to enter the restaurant industry. The cafe’s menu reflects this theme of inclusivity, offering American sandwiches and pastries fused with international influences. Cabral noted that the vegan farro salad has Thai and Indian influence, and the blueberry muffins are baked with Chinese five-spice blend. He added that he hopes to incorporate more foreign influences into the menu that reflect the wave of immigration to the Midwest over the past few decades. Hyde Park residents enjoy some coffee and pastries on Monday afternoon at the Grand Opening of Sanctuary Cafe in University Church. Cabral, a graduate of the School of the Art Institute of Chicago, specializes in creating art that looks like or is made out of food. Describing the food he makes as “weird, edible, intricate pieces of art,” Cabral recalled showcasing six Subway foot-long sandwiches made of cake and fondant at an exhibition in New York in September 2015. His artistic portfolio ranges from a pizza version of Johannes Vermeer’s “Girl with the Pearl Earring,” which he calls “Girl with the Olive Earring,” to pumpkins carved with images of Chicago landmarks. According to Cabral, Sanctuary Cafe will host rotating art shows, including spoken word performances, fashion events, and drag shows. 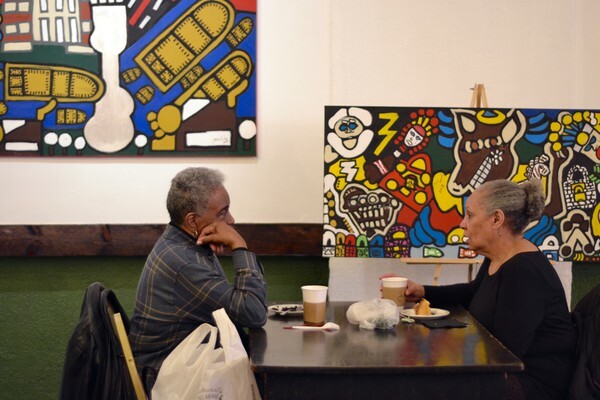 The walls of the cafe are currently decorated with colorful paintings and drawings from Chicagoan artists, but the showcased artwork will rotate on a monthly basis. 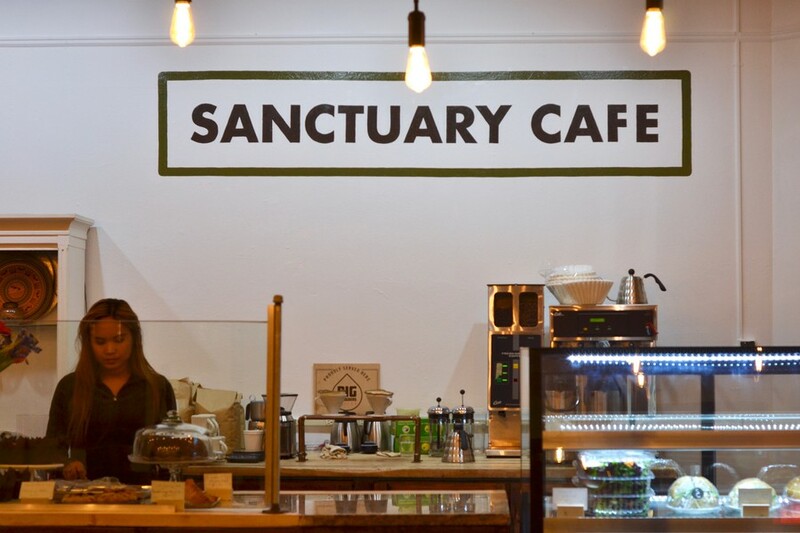 Sanctuary Cafe is open Monday through Saturday, 8 a.m. to 6 p.m. Cabral anticipates that the cafe will eventually extend its daily hours and potentially be open on Sunday afternoons. The bakery, which is currently located on campus, will relocate on March 1.